Note: Other services include nursing homes, home health, dentists, and other ambulatory services. 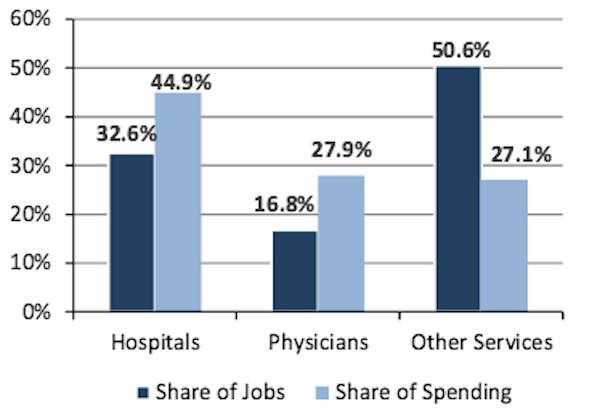 Data Source: Altarum Center for Sustainable Health Spending analysis. This entry was posted in Data Watch on January 6, 2016 by Genevra Pittman.